With Spring Festival approaching, Feb 5, 2016 was an important day for CEC Greatwall Energy (SZ) Co., Ltd for the acceptance inspection of its 4MW distributed solar project by ShiYan Branch of Shenzhen Power Supply Bureau. After whole day stringent inspection, the experts from the authority agreed that the CEC GreatWall 4MW projects had met all the design & grid-connection requirements and was approved to connect to grid for commissioning. CEC GreatWall Energy 4MW solar project is located in the GreatWall Computer Shiyan Industrial Park. Construction was started on Oct 28, 2015 and completed within four months. It was an investment project of CEC GreatWall Computer in responding to National energy policy and CEC Group energy policy. 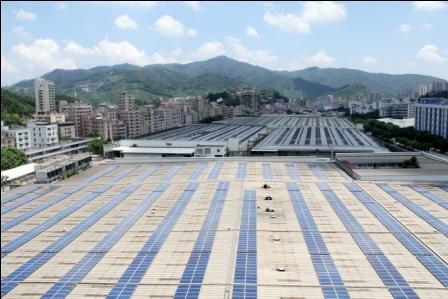 Now, it has become one of the largest rooftop solar projects in Shenzhen to date. The total installed power is 4.088 MW, distributed on 5 light-steel workshop rooftops and concrete rooftop of 1 production office building. 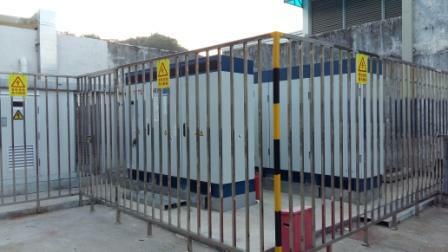 Based on the Shenzhen sunlight conditions, the solar plant is expected to generate 4,200,000 KWh power annually. Compared to conventional power generation of same amount of power, it can save 1238.13 tons of coal and reduce 3439.40 tons of carbon dioxide emission, 25.15 tons of sulfur dioxide emission and 8.5 tons of nitrogen oxide emission annually, having a good effect of energy conservation and emissions reduction. Through this project construction and the successful grid-connection, we have better understanding of the procedures and related requirements of distributed PV power station construction further, providing valuable experience for the subsequent projects development and management!